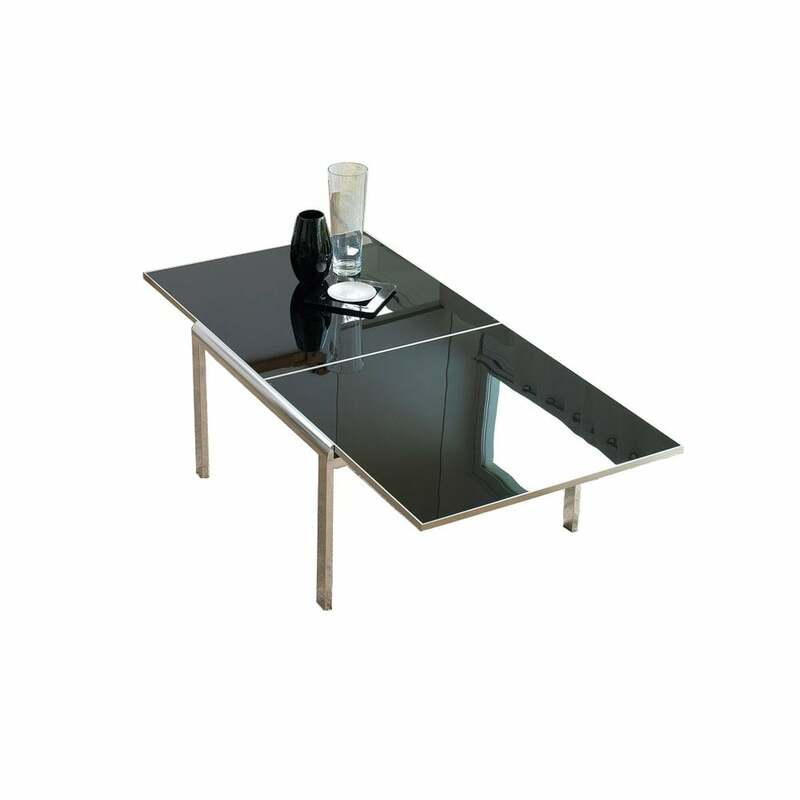 Extendable table with aluminium frame. Tempered glass tops (6 mm) inserted in sliding aluminium frames. Essential and minimal design for this table where the large glass surface of the top is inserted in a light aluminium frame. An aesthetic solution of undisputable formal elegance.